to be honest though it is quite sad though that there are builds that are designed to runaway. why? 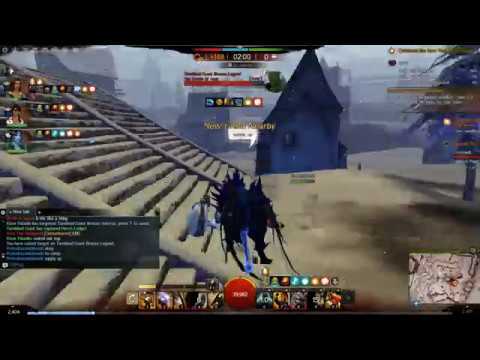 WvW is not about killing players, so running is a valid tactic. what do you suggest that support mesmer do in a 1 vs 3 ? /sleep while you kill him? although though Mesmer has blink which is tactical why does a Mesmer need stability when it can summon clones as well as can go invisible not to mention a lot of classes rely on slight invulnerably in terms of power based damage without it being corrupted like resistance? Depends on how many are chasing, my average is about 7, I like to hum "I can show you the world" while they pursue. so whats wrong with him running away? and why did you laugh at him? nothing is wrong with them running away and mainly laughed because support versus support is like asking for a 4 day long fight, plus no way to catch him while in combat when running a warrior without any movement speed. like trying to hit a guardian that pops the elite meditation that makes them immune to all damage for about 4 to 5 seconds unless they have conditions on them before hand. Protodraconic posts them quite constantly i think. nice what server you kitten on? And Engineers, Elementalists and to some extend Revenants and Guardians. Let's be honest here... Unless you are a necro, you can't really complain about Mobility. That depends on where your mobility tools are (on weapons or slots) and the cooldown they are bound to. I think the first mentioned play in a different league than guardian, engi or ele, but are not in a really bad spot. Classes are OP when you fight them 1v1. You are always fighting outmanned. Classes can instakill all other classes. Classes cannot die to any other classes. When you win a fight, you're skillfull. When you loose a fight, your enemies are running OP classes. If the enemy is downed and they rally before you can stomp, they are bad and relying on cheap mechanics. if you are downed and you rally because the enemy fail to stomp, they are bad and cant play the game. Roaming today: Mostly soulbeasts, some mesmers and a single DH and a Reaper. I may do this starting today - even it's without statistical value. Its still interesting to know encounters (could also add a "guessed type" ie marauder holo, condi fb, etc) but its affected by a many other things, such as time (I assume you arent running 24/7) or what servers you face (even a small active guild matter alot in terms of how often you meet the same classes). You showing toxic behavior that one got away from an obvious outnumbered fight that they probably wouldn't have won anyway. You also had a Mesmer yourself on your side so that's kind of the "pot calling the kettle black"
I will also say that you are making me yearn to try my old hammer build from the days of yore. Well you could have summed it up as "all melee healbot guardians and 40k hp warrior was unable to gank solo chrono because he used one teleport" and thats what caused this absolute marvel of a thread. Yeah....I like your explanation better. Shorter and more to the point. Why are you running support shout war with 2 guards? i solo charge 50 man zerg, do a 5x3x~4k dmg (hundred blades + 11111) and run away with 50% health as a full zerker warrior. One of those cyber compensater threads. Slow clap. If you paid attention to what your enemies were doing vs blindly spamming cc at them, you might've caught that mesmer. 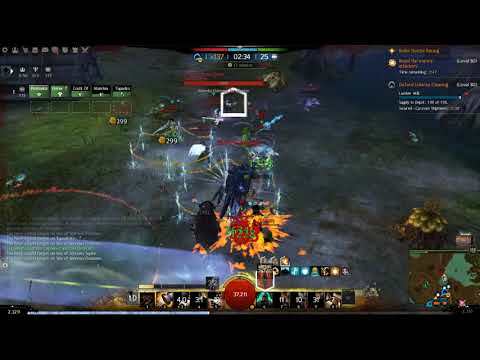 Instead you wasted rampage's cc while the mesmer was blocking with one of the most distinct and obvious block animations in the game (chrono shield). Which of course gave him the second block. ....you won't see thieves....its called perma stealth for a reason. I personally think Engi is high on mobility list too thanks to the double Rocket boots... Principally if they are running tools which will give them 2 seconds of superspeed after rocket boots while they are waiting the second one be avaible. But I agree ele Is kinda lacking on movement in their useable weapons and guardian and revenant are limited due target dependancy on their movement skills. 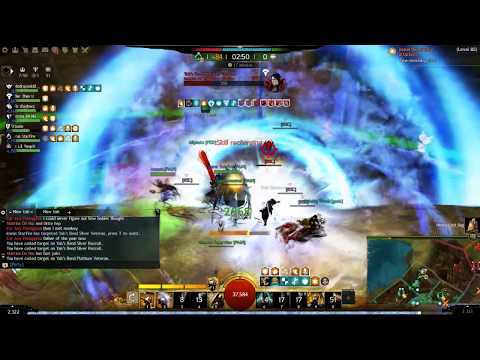 That’s your prerogative to make your build “slow as hell” inside wvw. Just likes it’s somone else’s prerogative to have their build not “slow as hell”. All players can do and build what they want inside of what the game allows them to do, not by your imaginary rule sets or preferences. Hey...whats wrong with skill clickin....er.....I mean....what? I totally dont click my skills......that you can see. I agree! GS "nike" warrior such a joke, isn't ? most invulns in game, most damage in game and faster than a druid in staff\GS. Well aware of that, but even them have declined.